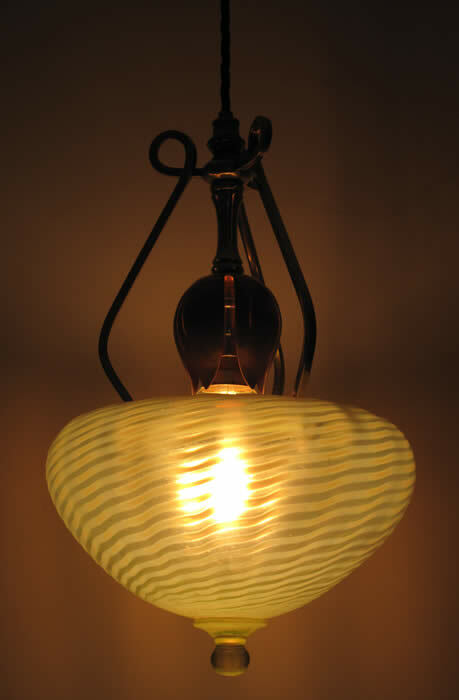 WASB No 1109/s with James Powell threaded Vaseline glass shade. 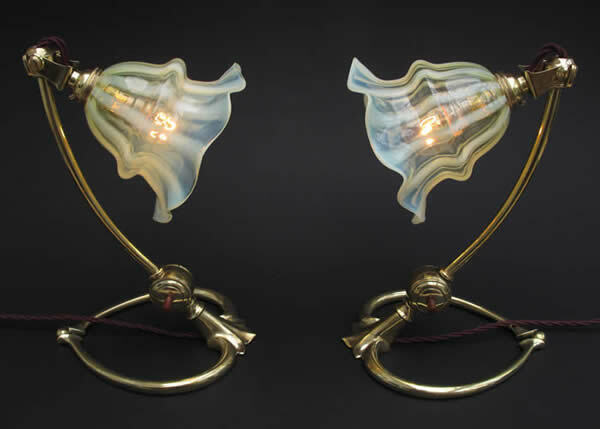 Pair of No 1173/s Combination Table / Wall Lamps with James Powell Vaseline glass shades. array of sub-standard copies that flooded the market. 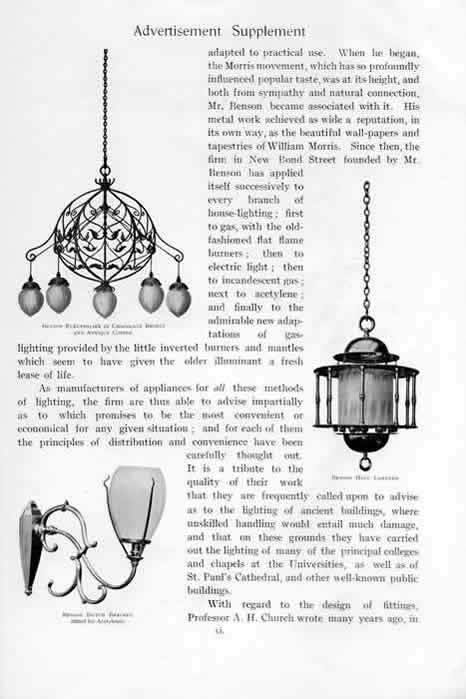 WAS Benson was at the forefront of electric installation in homes all over Britain, advising on suitable lighting schemes and installation. 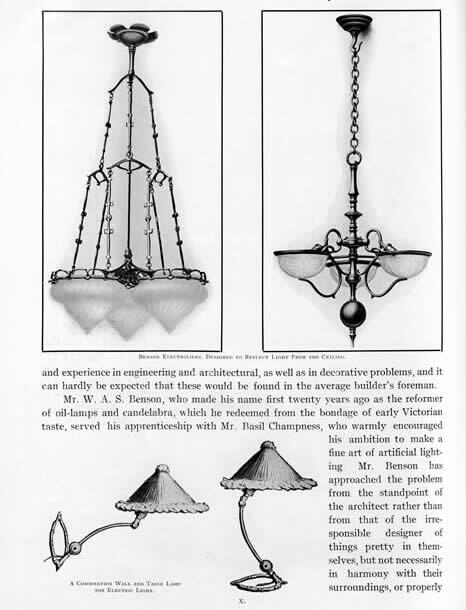 In 1893 he electrified Philip Webb’s latest architectural commission, Standen, near East Grinstead, Sussex, now owned by the National Trust. 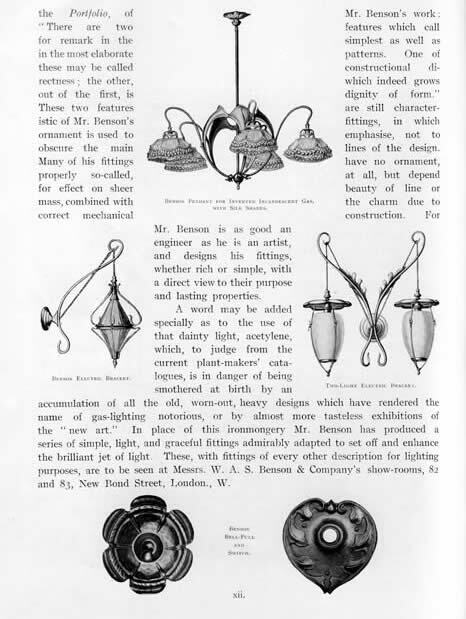 and in 1896 when William Morris died it was Benson with a colleague who bought Morris & Co and ran it alongside his own company until he resigned in 1917. 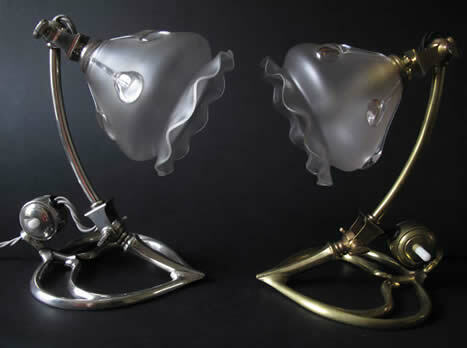 Benson attracted much acclaim for his metalwork designs and manufacturing processes. 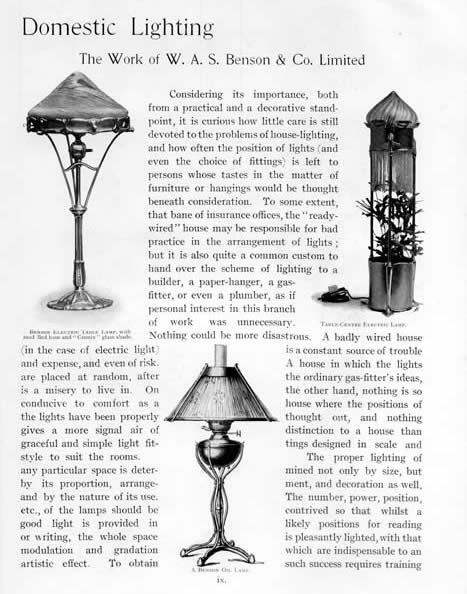 Das Englische Haus, were among the many who applauded his innovations. 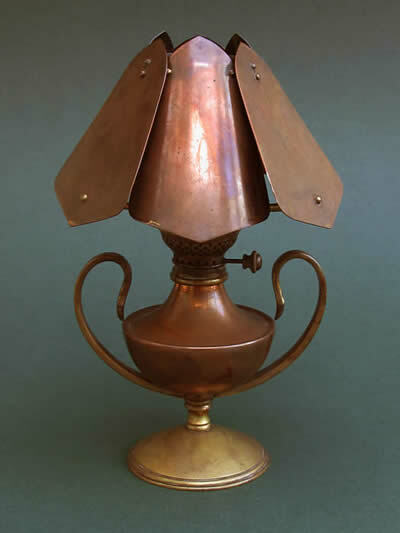 complete with rare No1336 orichalcum reflector shade. 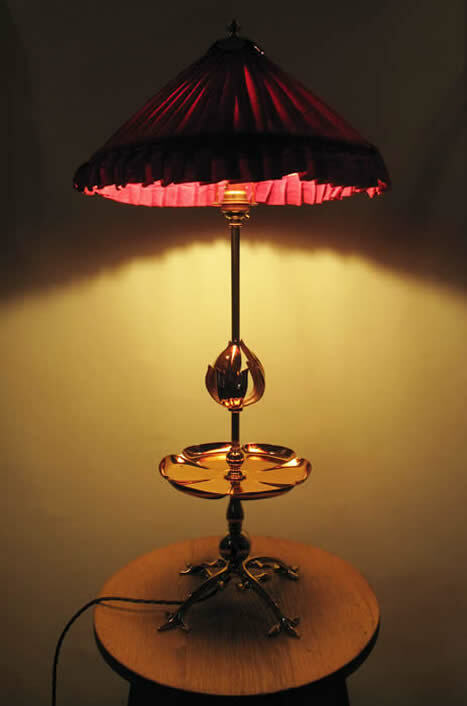 Benson No 267 oil lamp with rare No 678 petal shade. 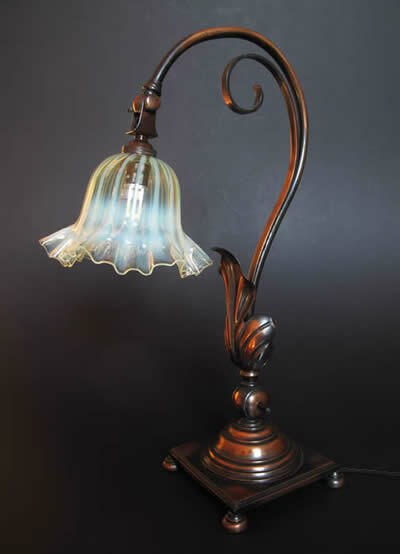 James Powell Vaseline glass shade. 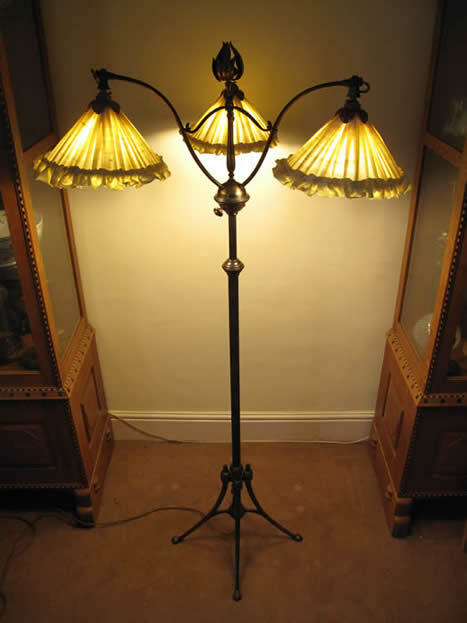 WAS Benson No 1546 with Powell teardrop shades. 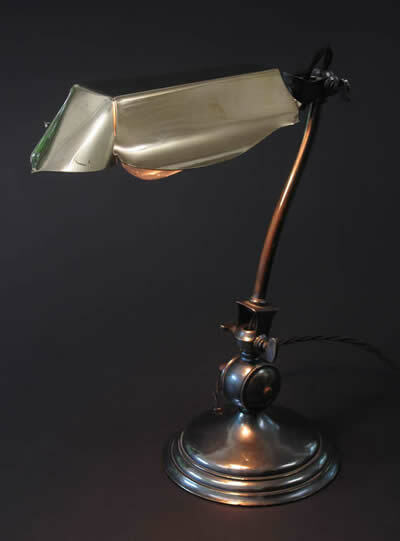 WAS Benson No 1223 standard lamp.